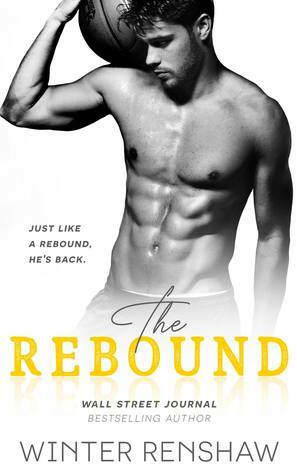 I have become a fan of Winter Renshaw's and I love sports romance stories, so I couldn't wait to read The Rebound. 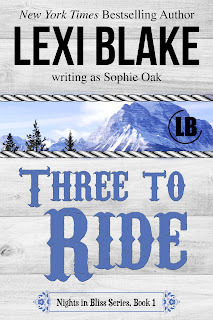 While I have really enjoyed the books I have read from Winter Renshaw in the past, The Rebound wasn't my favorite. 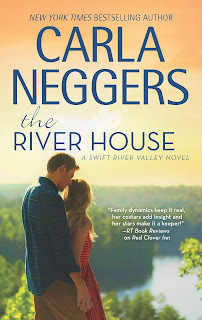 I had a lot of issues with the story and the reason I am giving this one 2 stars is because I did actually finish the book. Yardley and Nevada thought that they were about to have it all. They loved one another and Nevada was headed to college to play basketball and hopefully begin a professional career. They promised that they would wait for one another and make things work. But unfortunately their promises didn't hold up, and now 10 years later Nevada returns home after retiring from basketball for good. Nevada is now a widower and a single father, and the last person he wants to see or talk to is Yardley after everything that has happened. My biggest problem here was Nevada. He was an absolute jerk that refused to listen to anything Yardley had to say, yet he had no problem using her when it suited him. I really hate when communication or a simple misunderstanding is blown out of proportion and is pretty much the entire cause for drama, and unfortunately that was the case here. Everything could have been solved so much quicker if Nevada just would have given Yardley a chance to tell him what she had been trying to, yet he never did which just struck me as odd and honestly infuriating considering she was supposedly the love of his life. That along with how he treated her so terribly and never really seemed to be sorry or actually say the words had me unable to forgive him. I also felt like for me personally that the circumstances of their time apart were hard to get over. He refused to talk to Yardley, yet he moved on easily with a nice girl that he married and had kids with. The only reason he even went home was because his wife died, or he never would have even heard Yardley out. Meanwhile, Yardley had been living a lonely life where she not only dealt with some very hard things, but she also didn't move on and pined away for Nevada only. I am over it when the heroine pines and doesn't even look at another man during a split, yet the guy fully moves on and comes back in the picture and just expects to pick things back up where they left off as if nothing changed. While that wasn't entirely the case here with him not even hearing Yardley out, he basically just expected her to get over how he treated her and reacted while judging her as if it meant nothing. Besides these issues, I had some issues with the story itself. Some things just didn't add up as far as timeline went, and some of the circumstances for the big misunderstanding didn't make sense as well. This won't be the last thing I read from Winter Renshaw, but unfortunately this was just a complete miss for me.